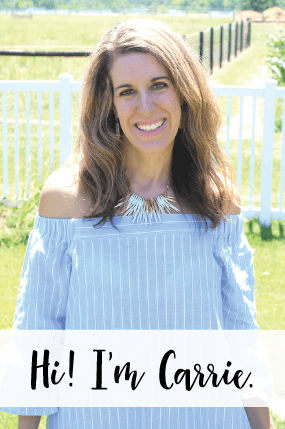 My husband and son were still in the car, since it was raining and Autumn and I were just running in the store real quick. 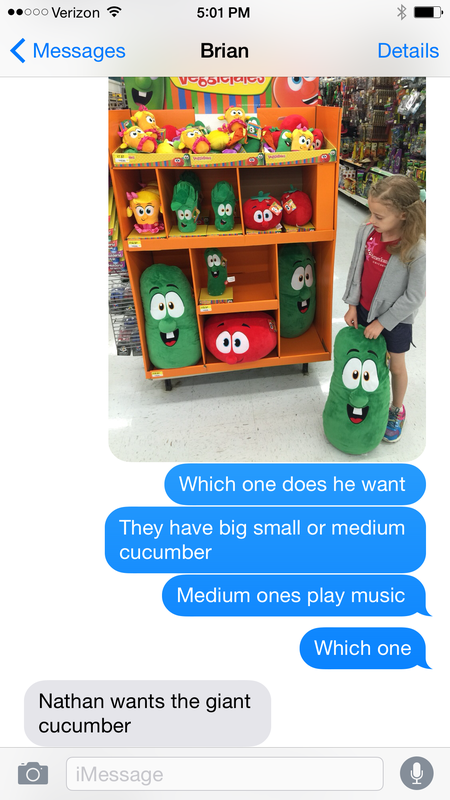 I texted him and asked which VeggieTales character Nathan would want… can you guess?! Nathan wanted LARRY… and the BIG Larry! So, of course… Autumn put back the two little ones she had decided upon and pulled out a BIG Larry for her to take home, too! Oh boy! 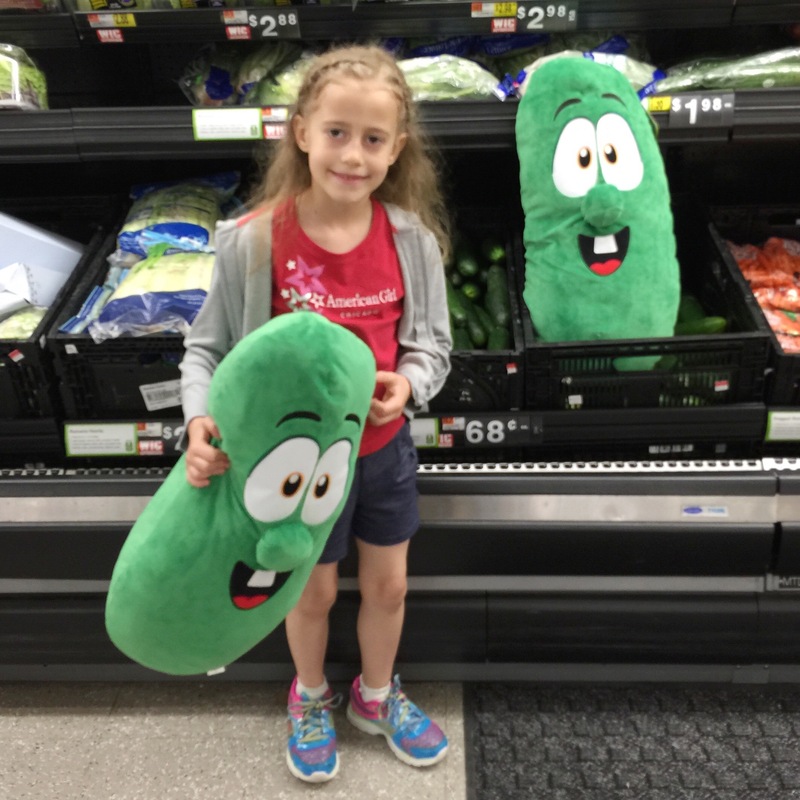 Somehow… the two big Larry’s landed up in the cucumber section with Autumn… We were having WAY too much fun on a Sunday morning at Wal-Mart! 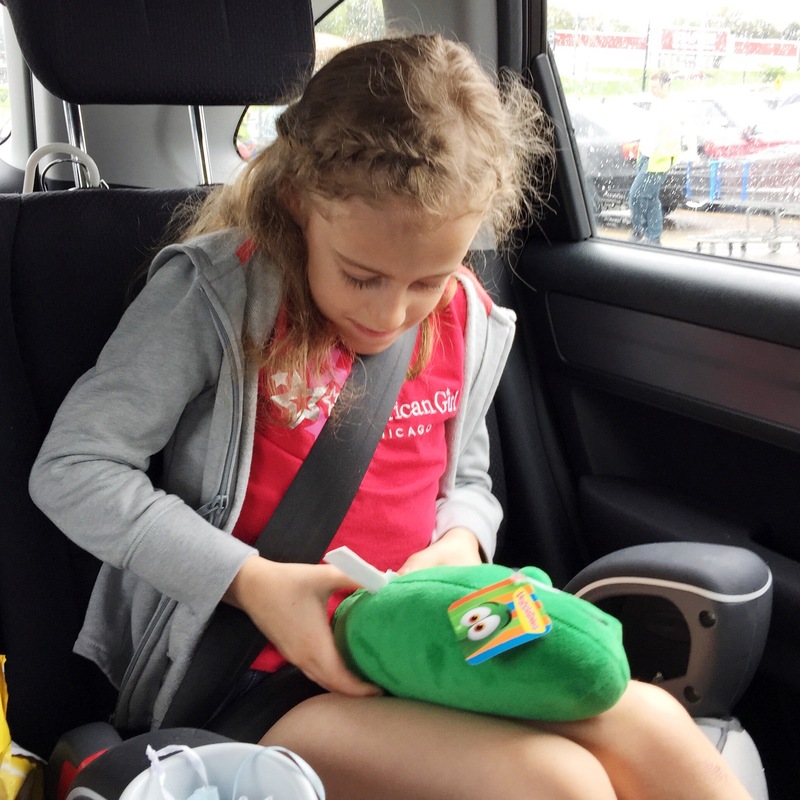 Of course, last minute… Autumn decided she wanted her original two characters again and off to the check out we went. 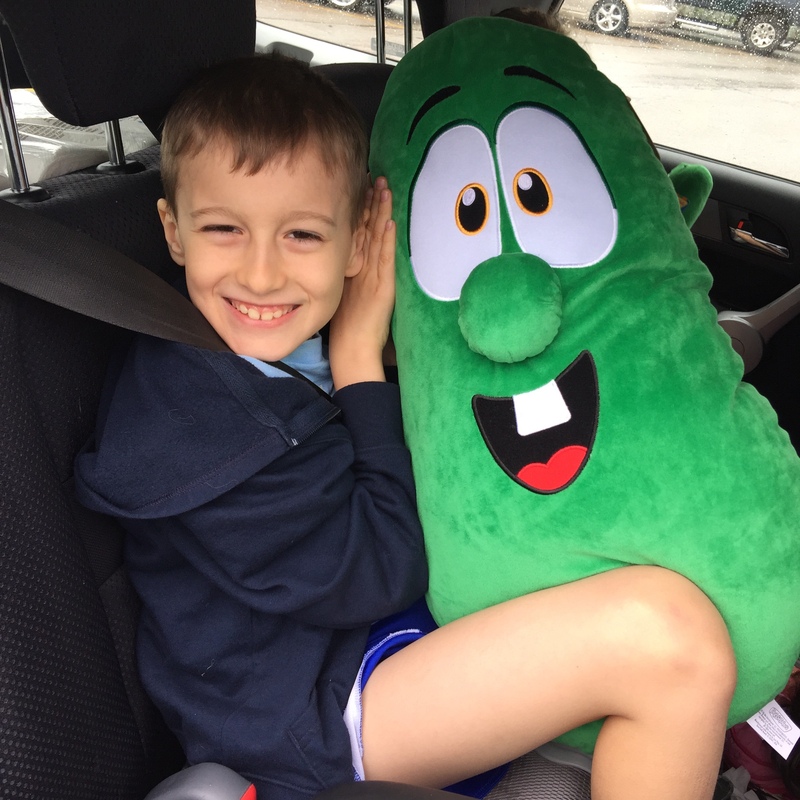 Once we got back to the car, Nathan was delighted when he saw his HUGE Larry cucumber! You have to admit, aren’t they cute together?! Autumn decided on the middle sized Larry and it plays music and dances. So neat! You can see her turning it on in this photo. We listened to his tunes the entire ride home. 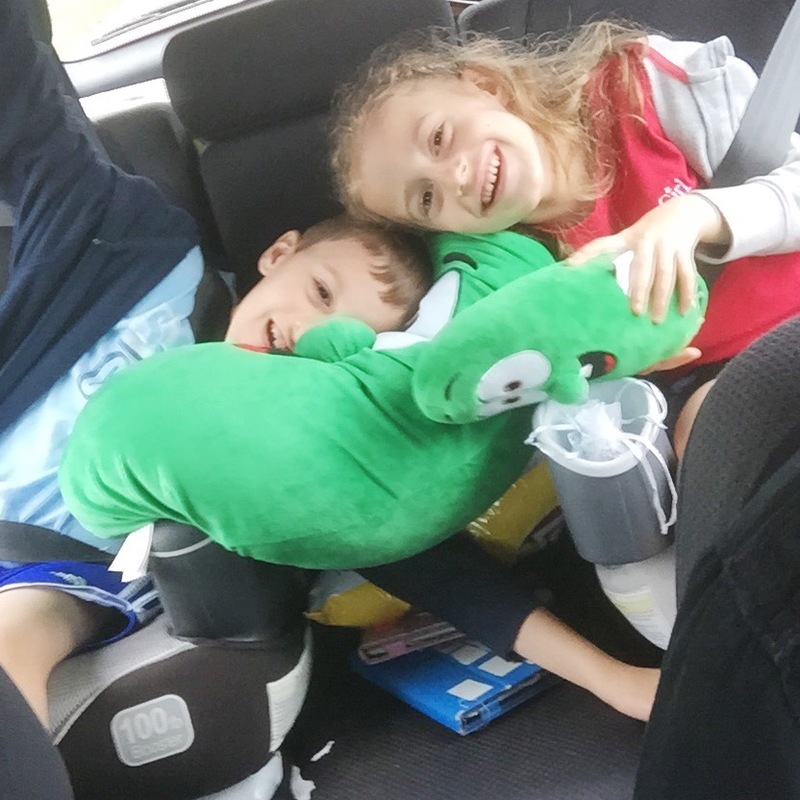 You’ll see in this photo that the iPads are closed and the kids are snuggling and playing with their new VeggieTales characters! We had to snap one last photo before the drive home! I am excited my kids have some toys that go together with a great show that always has a good message. 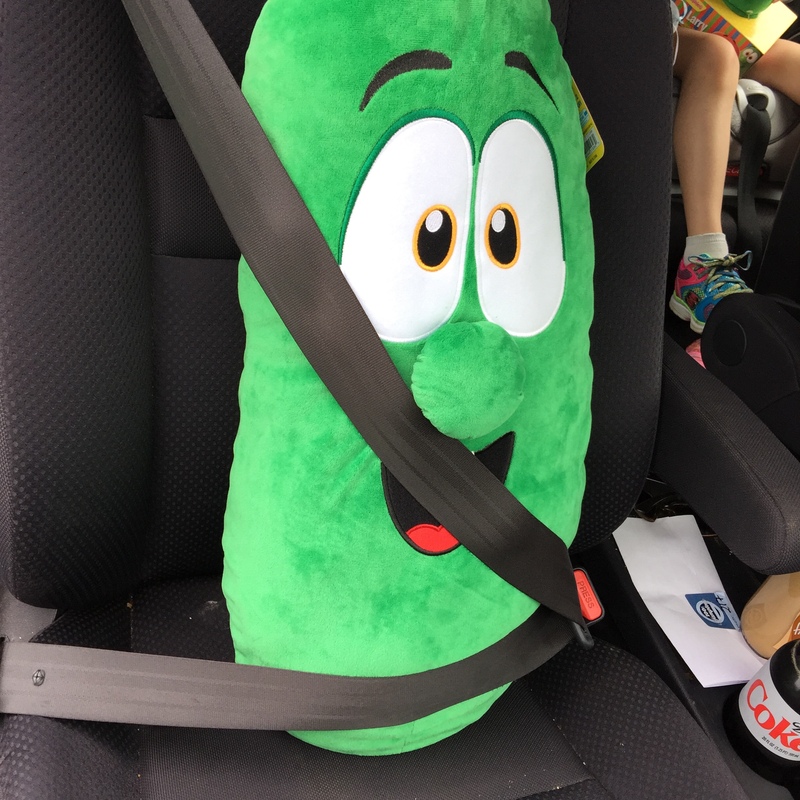 My kids can sing and play all day long with their VeggieTales and my son loves using his huge Larry as a pillow at night to sleep with. 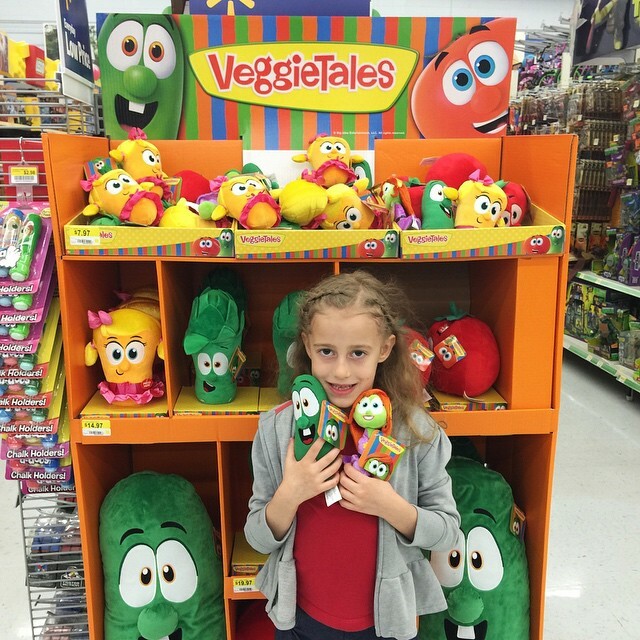 There are so many shows out there these days, but I know that the VeggieTales always teaches my kids important values and helps to nourish their faith.